I absolutely love light overlays, and how easily I can change the look of my pictures. My all-time faves are bokeh light overlays, both natural light and golden Christmas overlays. The truth is I could apply them to all of my pictures. I can say that over kimladesigns.com shop you will find the biggest collection of light overlays and what I'm most proud of, all of these overlays have been created on camera. There are no brushwork, just ordinary RAW's and hours of shooting in the dark rooms. Everything to give you the best quality and natural looking effects. What is a Light Overlay? Light Overlays is a real light effect captured on camera and saved, usually as a JPG's, so you can easily apply the effect on your images. You will need any software supporting layers - Adobe PS CC, PSE, Gimp, etc. 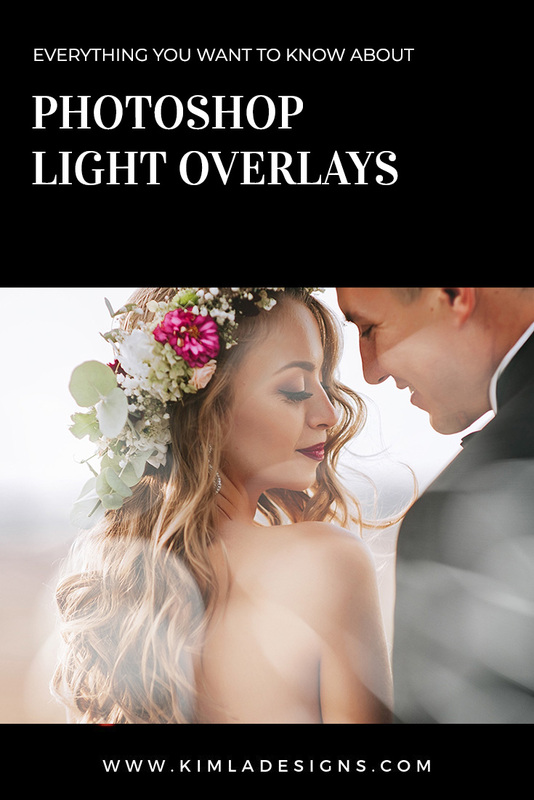 Light Overlays are perfect time-saving tools for any photographer who like to create unique, eye-catching images and for those who like a more creative approach. How to apply Light Overlay? I like when I can use editing tools quick and easy and this is the way of applying light overlays. Our overlays will work great with any software supporting layers - PS CC, PS CS+, PSE, Gimp and many others. These are simply drag & drop overlays, and you need to simply place them over your picture and since they have been saved as JPG images on a clean black background, you should just change the mode of the light overlay for SCREEN. How to pick the right light overlay? Our collection of light overlays is huge so it can be tricky just scroll through the shop and each product previews, but I tried to give each of our products long descriptions. There are beautiful golden lights, fantasy lights, Holiday shapes bokeh ones and classic snowflakes and stars. Our overlays will work great with any studio or on location pictures. They work fantastically with any light or dark backgrounds. You can mix & match these overlays and create truly unique looks. These are editing tools, so possibilities are endless.